I want to go ahead and preface this entire article with the fact that I am not and never will claim to be a professional photographer. I've never been paid to take photos, and I certainly have a lot to learn in the photography realm. At the same time, one of the most common questions I get asked when posting photos on our Instagram page is "What camera do you use to get photos like that at night?" Personally, I love that question because in my opinion it still proves that DSLR's are alive and well in a world that is dominated by smartphones. Don't get me wrong, the new smartphones are incredibly capable for what they are but nothing is going to capture detail in low light environments quite like the larger sensors of DSLR cameras. Today's post hopes to answer that question but in all honesty it's going do so in a round about way and with a few caveats. The first caveat is that night time photography isn't very convenient. It often requires a tripod, possibly a tripod substitute (trashcan, the ground, a shoe... yes I've tried that lol), a DSLR or higher end point and shoot camera, patience, and an honest understanding of the exposure triangle at least in a somewhat basic sense. By far, the last factor on that list is the most important. 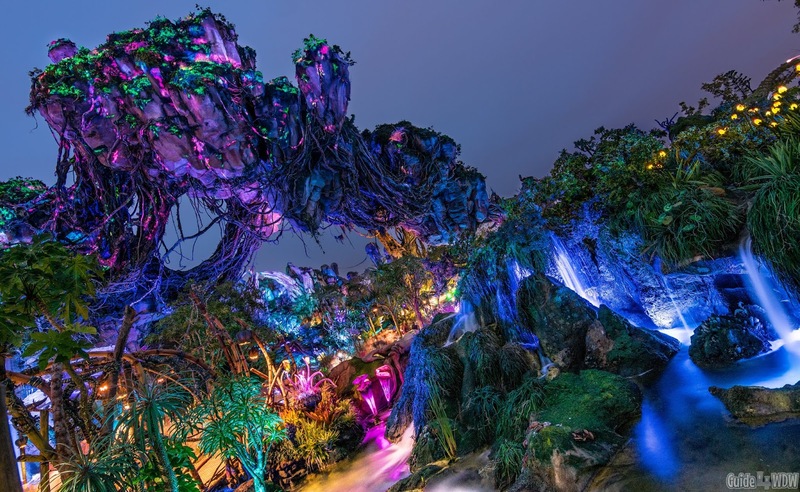 If you can figure out the exposure triangle, you're well on your way to getting incredible night time shots in the parks that will exceed your wildest expectations. It doesn't take a genius to figure it out (if it did, I clearly would have never figured it out), and with a little patience and some trial and error you can start capturing pretty impressive photos in a very short amount of time. Today's goal is to explain the process in the simplest way I can possibly explain it. If you're a photographer reading this, pardon my lack of using the technical terms, but the goal is to make this as understandable as possible for anyone that may be reading it starting out. With that disclaimer out of the way, let's jump right into it. If you're looking for top tier results, increased flexibility, and the least frustrating way to approach this you'll need a DSLR (some point and shoot cameras will get you by but with current DSLR prices, you're better off just springing for the DSLR - for new photographers I recommend the Nikon D3400 or D3500), a travel tripod, some free time, and possibly a shutter release (optional). For Disney photography I do recommend picking up an ultra wide angle lens like the Tokina 11-16mm dxii f/2.8 but it is in no way required. The kit lens your camera came with will create results that exceed your wildest expectations. The key to any nighttime photography is keeping the camera perfectly still. I'm not talking "steady hands." I'm talking set the camera down, step away from it, and let gravity do it's job. The less you touch the camera the sharper your images will be due to the process required to get tack sharp late night photos. To keep that camera perfectly still, the best way to set up is to either mount your camera on a tripod (yes, Disney does allow them in the parks if they will fit in a backpack - just be sure to be courteous to other guests) or use some other stationary platform to set your camera on. I've taken hundreds of photos with my camera flat on the ground. Others I've used trashcans as makeshift tripods or even railings or other stationary objects in the parks. The tripod is the easiest option if you're willing to carry it or an alternative like the platypod or Joby GorillaPod will work quite well. The downside to trashcans is that you are obviously limited in composition by where trashcans are located in the parks. If you're at all serious about nighttime photography, get a decent collapsible tripod or one of those alternatives mentioned. To get the shot, set up your tripod, mount your camera to it carefully, and frame up your desired shot with the screen or the viewfinder. Once you have everything set up switch your camera out of any assisted mode and move to aperture priority, shutter priority, or full manual. All of my shooting is done in full manual at night. Every photo person does something a little different but manual works for me. As far as metering modes, I use Nikon's "matrix metering" for most landscape style lat night shots (it's a fairly easy setting to find on your camera but the term for it does vary by manufacturer). On the back of your screen you'll see three adjustable options no matter what manufacturer camera you have if you are in manual mode. One will be a number ranging from 100 and adjustable up to well over 56,000 in some cases called "iso," one will be an f-stop number represented by anything from f/1.4 all the way up to f/22 or higher, and one will list a fractional number or whole number called your shutter speed. In nearly all tripod related nighttime situations where motion of the camera wont be a problem, you want your iso to be set at 100 and locked there. If your camera wants to do it's own thing and mess with this number go into your settings and turn off "auto-iso." The lower the iso number, typically the sharper the shot will be in the end result (not always the case but for this example it is true 99% of the time). Set that one and forget about it. All of these settings should be able to be adjusted using a wheel or touch screen interface on your camera. You may have to hold a button near your shutter button (the one you click to take the photo) to get the other values to change, but play around with it for a minute and you'll find what buttons to hold to get certain values to change. Moving on to aperture, the f-stop numbers correspond to the amount of light being let into the camera (in a very basic sense). The smaller the f-stop number the larger the little blades inside your lens open to let in more light. It's basically the opposite of what you would expect. Low numbers like f/1.4 open the lens up wide and higher numbers close out the lens like f/22. You have to kind of think of your camera as an "eye." Your pupil shrinks and opens to let in more light and that's essentially what your camera is doing. Replace the receptors on the back of your eye with the camera's sensor and it's a pretty spot on illustration. While changes in f-stop do create varying depth of field changes (that creamy "bokeh" or out of focus region so many people love to see in photos), for our purposes in this article you can set it on f/8 or f/11 or something close to that in most situations and get excellent results. Moving on to shutter speed, this is where the tripod comes into play. At a setting of f/11 which will typically yield incredibly sharp images, the lens is only partially open to gather light. To gather the full amount of light onto the cameras sensor that is needed to make the image you see look like the image your camera captures the shutter has to be open for a very long time. Sometimes one photo can take 30 seconds or more to open, gather enough light, and close in order to get the correct image recorded by the sensor. No human being can hold a camera perfectly still while the shutter is open that long without moving it ever so slightly. That slight movement will create terrible blur in the resulting image so that tripod or tripod alternative is a must have. Another factor to consider is that when you hit the shutter to start the image taking process, you will bump the camera. To avoid that, set a timer or use a remote shutter so you don't even have to touch the camera as the shutter opens. It sounds petty but makes a big difference. The kicker to getting the camera settings all right or at least close to right is a little light metering display on your screen or in your viewfinder. At night, it's far easier to use the screen. The meter should look something like this (+ ---.---.---0---.---.--- -) with a bar that travels left and right as you adjust your settings. In this case all you should have to do is change your shutter speed to see the bar move left and right. Each increment on the scale, represented by three dots or dashes, represents a stop of light over exposed or a stop of light under exposed but all you need to know is that you adjust that bar that moves until it centers out over the middle and essentially "disappears." Theoretically that is your perfect exposure shutter speed. Once you find what settings center that meter, use your timer to set off the shutter and wait. It may take upward of 10, 15, or even 30 seconds to take the photo. Don't touch the camera, don't touch the shutter button, and when it's done you'll hear the shutter close and after your camera carefully processes the image it will pop up on your screen. If you did everything right you should have a tack sharp image. If you bumped the camera you'll have some blur in the image and you can try it again. Tripods make that aspect of all of this far easier! This process is something that takes a great deal of effort and patience at times. the best way to practice is to go into a dimly lit room in your house or go outside at night and take photos of your house. Fiddle with your settings and get to know your camera. That way when you arrive at the parks you have a basic understanding of what to do and actually how to do it. It does take a little time to learn but once you "get it" you wont forget it. Perhaps the most important thing to note in all of this is the fact that composition plays a huge role in any photo. If you're taking a photo of something and it's not a creative photo at all, who cares how sharp it is? Capture things that mean something to people and that's the greatest tip I can give you. No camera is going to make up for poor composition and no fancy gear will make you a better photographer. Photography is a game of diminishing return on the high end. An entry level camera can really up your game when sharing photos, but a $4,000 FX camera will only provide a high level of return on investment to those who really know photography and tend to look for nit picky details. We're all gear folks and want the latest and greatest thing but in all honesty an entry level camera will really shock you when used properly and effectively. Also worth noting is that this isn't for everyone. The vast majority of people have no interest in wandering around the parks late at night taking long exposure photos. It's a very select audience but those who do really enjoy doing it and it's created a whole Disney parks photography community. My last and final thought to share is the fact that no camera will magically remove people. A long shutter speed over 10, 15, or even 30 seconds will "ghost out" and remove a lot of people as long as they keep moving, but if they have a lighted wand or anything like that you're going to see that trail in your photo because the camera captures the light because it's essentially brighter than the moving subjects. The only way you really get rid of people is either tedious efforts in photo shop or lightroom or by staying until the bitter end of the park hours as the crowds slowly fade away. Most parks you can wander around in for at least an hour after closing time as guests filter out of attraction queues, and often times you can stay far later as guests finish dining reservations. The key is to be courteous and kind to the cast members. Recognize that they want to get home just like you do at the end of the day when you leave your job. And last but certainly not least (I know I said the paragraph above would be the end... I was wrong), if you don't learn anything else from this article, learn this and keep it locked in your brain! If you're shooting with a DSLR the greatest thing you can do for your photography is to shoot in RAW file format opposed to Jpeg. It's an easy setting to change in your camera settings but essentially a raw file captures far more information than a Jpeg and offers you the unique freedom to cover over a multitude of errors and necessary changes to the photo when editing in a decent editing software. Adobe Lightroom is my go-to software because it's super user friendly and runs on most machines (Mac or PC). If you don't own an editing software that will process raw files, you may want to stick with Jpeg but you'll be missing out on a whole new world of possibilities. I'll leave my editing tips for another day or maybe even a video sometime, but let me know what you think and we'll see if we can make it a reality! I know this was a bit of an odd post, but nonetheless it's something I had to share since I keep getting questions about my process. I love answering those questions so feel free to ask anything you have questions about and if you need my help don't hesitate to shoot me a message! If you know me very well, you likely know that my long term Disney vacation planning goals don't always align with what I actually do when it comes to booking my own Disney trips. I talk about booking long term and encourage it here almost daily but often times it comes down to one of those "do as I say and not as I do" situations in reality. As much as I hate to say it (and even more so hate to admit it lol), most of my vacations are planned within two months of when we will actually arrive at Walt Disney World. The reasoning behind that reality is partially our desire to keep things "simple." We do travel to the parks multiple times a year and avoiding having two trips booked at the same time makes things easier. The other part of the reasoning is our constantly changing schedule which so many of you also face time and time again. I'm a college student, Caitlin is a teacher, and the rest of our family works on a fairly constrained schedule as well. It's far form ideal but we make it work even though we may not know when we'll have the time to head south as far in advance as we'd like to. Is it the best way to do things? Not at all and I don't recommend you do it, but there are some incredible ways to overcome booking last minute Disney vacations and the struggles that they present. Truthfully, I could write a whole series of posts on booking last minute trips. My shortest turnaround time of booking and arriving was a three week window from the day we booked our trip to the day we arrived in the parks. It was hectic to say the least and some compromises certainly had to be made regarding fastpass+ selections and dining reservations but it didn't require near as many compromises as you may expect. Perhaps the best example of this is dining reservations. If you are flexible, dining reservations don't have to be difficult to secure when booking at the very last minute and this post was designed to help you do just that. The key to all of this is the fact that reservations as whole change constantly. If you look at seven o'clock in the morning and then check back two hours later, you'll inevitably find different reservation availability. The real irony of the situation that so many guests overlook is that the closer your dates get, typically the more frequently dining reservation availability changes. The "golden window" of opportunity is the two days before your desired reservation time. It sounds insane, but more reservations are changed and altered in those last 48 hours than any other point in the booking timeline. The reasoning behind this is fairly simple. As the cancellation window approaches, guests are faced with a decision. Either you keep the reservation or you cancel the reservation. If it is not canceled at least one day before your scheduled meal time and you do not arrive at your scheduled time, each member of your booking party will be charged a cancelation fee for not showing up. Unfortunately, it's not out of the ordinary for guests to make more reservations than they intend to actually arrive for to keep their options open. At the last minute they cancel whatever they decide they no longer want right before the cancellation window. It's a terrible way of doing things and adversely affects the guest experience for others, but it is done quite frequently to say the least. Combine that factor with the real emergencies and unfortunate circumstances that can cause vacation cancellations in those last couple days can play heavily in your favor when trying to secure difficult dining reservations. On the off chance that you can't find exactly what you want, these are the alternative dining options that we go to time and time again when we're looking for an excellent meal at the very last minute. Obviously, there's no guarantee that any of these locations will have availability for your your dates, but these are some of your very best options for "Last Minute Dining Reservations." Whispering Canyon is certainly one of our go to spots at the last minute simply because I've never once looked on the app or the booking site for this reservation and found it full. Even on the day of the intended reservation, often times you'll find two or three slots available and if you're even remotely flexible you can typically find a time that works for your schedule. Whispering Canyon, as I've mentioned before is kind of an acquired taste and you have to be willing to go with the flow and be the focus of a few jokes during the meal. Nonetheless, the food is great and the menu is pretty reasonably priced. If you can't find anything available in Magic Kingdom, this is a near ideal substitute for a table service option. If you jump on a boat at Magic Kingdom or take a bus to the resort you can be there in less than 15 minutes on a normal day and Whispering Canyon is right beside the main lobby. When you get done with the meal, jump back on the boat and you're right back to Magic Kingdom in a few short minutes. Homecomin' has somehow remained fairly "under the radar" over the years and while it's not technically a Disney owned and operated restaurant it is an incredible part of the Disney Springs lineup of dining offerings and does participate in advanced dining reservations. However, if you can't secure an online reservation ahead of time you can always drop by and typically get added to a walkup seating request as with many of the dining locations at Disney Springs. It may take some time for them to get you in, especially on busy days and times, but the wait is well worth it and it's a reservation you can regularly find available even if you are booking last minute. If all else fails, try to walk up and you'll likely get in. If for some reason you cant, walk over to Polite Pig and it's a table service level meal in a counter service style dining experience. It's not the perfect meal and it is a little pricey for quick service but nonetheless it's an excellent option if you can't manage to snag Homecomin'. The first time we ate at Cape May Cafe we made a random reservation that we found while sitting at the pool one afternoon (I cant be the only person who makes dining reservations while at the pool... ok maybe I'm the only person who does that...) literally hours before the arrival time we ended up choosing. Truthfully, this is one of the best, if not the best buffet on Disney property. We've been buffet people for years and have slowly but surely gotten away from it to try new things and work our way through more of the table service offerings. With that being said, Cape May Cafe is one we come back to time and time again. Last minute reservations are typically readily available because very few people realize that it's only steps away from Epcot and if they do know that the most commonly booked meal time is breakfast due to the characters present at that particular meal. It's not a budget friendly option and it's mostly for the seafood lovers of the group, but nonetheless it is a top notch offering you can reserve quite literally on the day that you hope to dine there more often than not. For more on Cape May Cafe check out our full review here -> Our New Favorite Disney Dinner Buffet - Cape May Cafe. Yak and Yeti, much like Homecomin', is one of a select few walk up reservation possibilities still available at Walt Disney World. Yak and Yeti isn't quite as adventures as the name tends to imply and if you're a Landry's Select card holder you're automatically bumped to the top of the wait list if there is currently a wait to get in to the restaurant. It's a great perk and the card is 100% worth it if you ever eat at locations owned by the Landry's group. I won't drone on about that program here, but we did do another article all about that one in our -> How Our Party of 4 Guests Ate At T-REX for $15! 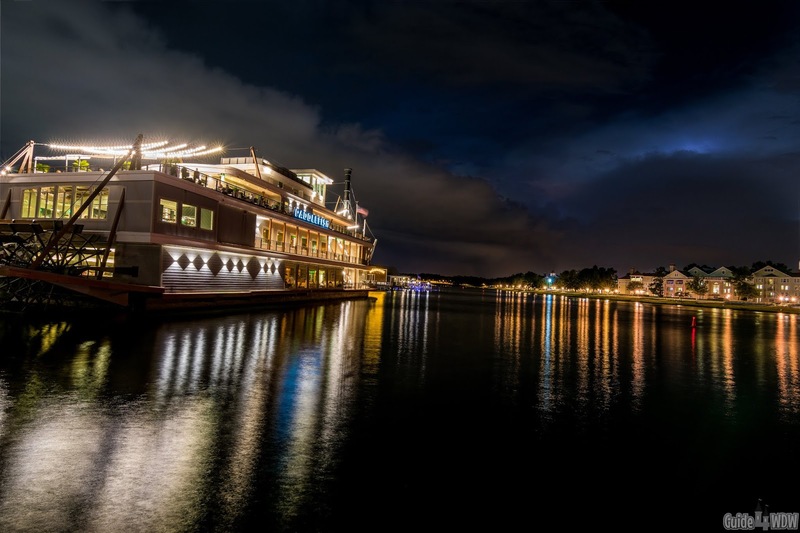 - Disney Springs Dining. That article focuses heavily on T-Rex and our experience there but at the same time it shares the little known secret of how to save money and get priority seating using the Landry's card. Yak and Yeti itself usually takes walk ups and it's not out of the ordinary to be seated almost immediately (at least for lunch), and truthfully it has slowly but surely climbed it's way into one of the tops spots we recommend at Animal Kingdom. While Kona isn't quite the same incredible location and menu that it once was, I do have to say that the location really cant be beat for a last minute option. Reservations are plentiful and if you're a sushi fan this should be very high on your list to begin with! The prices are pretty reasonable and the atmosphere is excellent to say the least. 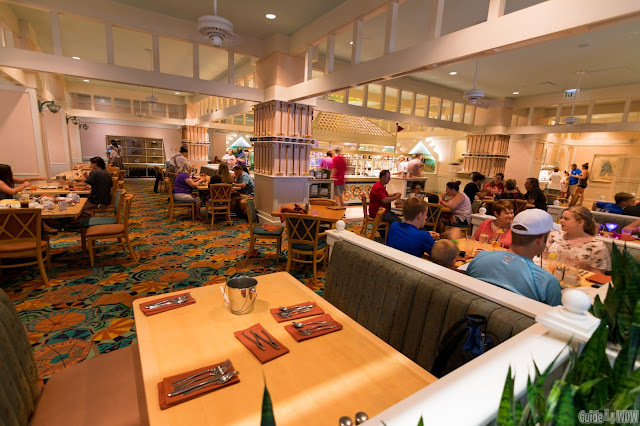 You're sitting there eating a meal perched on the second floor of the Polynesian Resort's main lobby and you really get that multi sensory experience that Disney is oh so good at creating. When you get done with your meal you can hop on the resort monorail and be back at Epcot in a few short minutes! If you want a quick and easy meal, or even the perfect start to a night of food followed by Dole Whip on the beach and a picturesque view out over the water as the Happily Ever After fireworks debut, this is a great way to start the evening! The point of this whole article is to share essentially one thought and that is the fact that planning a Disney vacation isn't something that has to be done months or even a year in advance. You can make the most of a last minute booking and truly enjoy every minute of your stay. Don't sweat making dining reservations months in advance unless that's just something that makes you happy. Most of our dining we book one to two months out max unless we're looking for something really specific or traveling with a large group. If you don't want to book super far in advance, don't! If you're even remotely flexible with your decisions, you'll be more than happy with many last minute selections and if nothing else it may give you the opportunity to try something new that you otherwise wouldn't. Truthfully, that's the key to doing anything at Walt Disney World. Flexibility and learning to go with the flow is a huge part of making the most of every minute. Not everything is going to go as planned during your trip and if everything goes perfectly it's been the rare exception rather than the rule. The key to enjoying the parks is rolling with the changes. I'll never be that person that puts every attraction into specific timeframes to plan out my day. It will never happen and I wont wish that vacation planning strategy on my worst enemy. It's a recipe for disaster and while it works for some, I couldn't even begin to enjoy that. Either way, just roll with the problems and issues the may develop during your stay or even before you get there and just make the most of whatever happens. Some of the most unexpected issues can lead to the most incredible of moments and that is something I can assure you! My Thoughts on the Epcot Announcements - "Skeptical Excitement"
Over the least year or so I've pretty much completely given up on sharing Disney Park news. Honestly, I haven't regretted that decision one bit but at the same time I do like to share my thoughts on future projects and I do follow the official statements Disney shares from time to time. 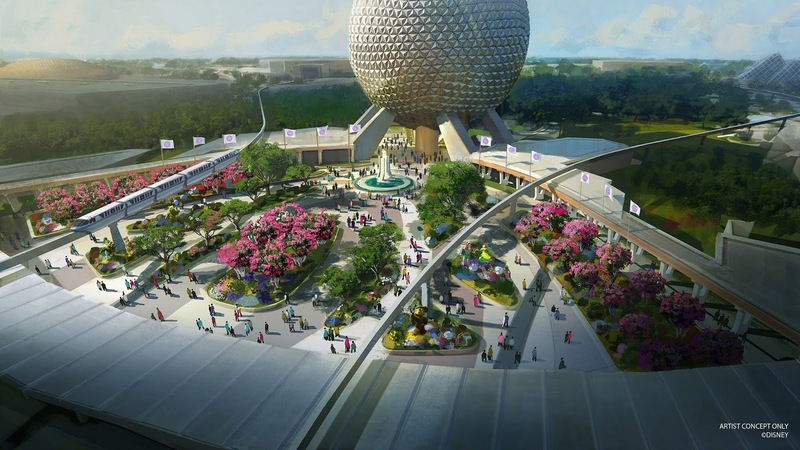 So, at this point it's no grand secret that Disney released two new additions/changes to the Epcot experience today which will inevitably be the first of many changes announced in the coming years to revitalize Epcot in a big way. If you've not read all about it be sure to check out the official statement here and then come on back over and I'll share a few of my own thoughts and opinions about the future of the park. Since you're back, or maybe you never left, I have to say that I have mixed feelings about this project but overall this does give me a certain hope for the future and a reassurance that the Epcot experience wont be entirely lost in the redesign. Of course, that's a vastly vague explanation, but let's look a little closer and I'll explain a few thoughts. When I was a kid, and in all reality it wasn't that long ago, Epcot always felt like the park that was different from all the rest. I enjoyed going there not because it had the best attractions or even the best shows, or really anything of the sort. To me, it just felt like what you could do at Epcot you couldn't do anywhere else. Everything was authentically Disney in the most unique way imaginable. Many of you likely remember the true early years of Epcot better than me, but as someone who was born in 1996, the Epcot I know and learned to love growing up is a different Epcot than the one many of you grew up with. At the same time though, I'm of that generation that caught the end of the classic Epcot experience. I can vividly remember walking through ImageWorks, the Hydrolators of The Living Seas, and even touring Innoventions back when it was still thriving. Over the years I've watched the classic feel of the park slowly drift away and with the exception of incredible key attractions like Spaceship Earth and Living with the Land, so much of that experience has dwindled into areas of abandonment. Abandonment is likely a harsh word, but it's not out of the realm of reality to say that Epcot is in desperate need of a change. Today's release showed me two main things. First, it showed that the group at work making this redesign and update a reality have a greater appreciation for the nostalgic Disney fans than we may have originally anticipated. 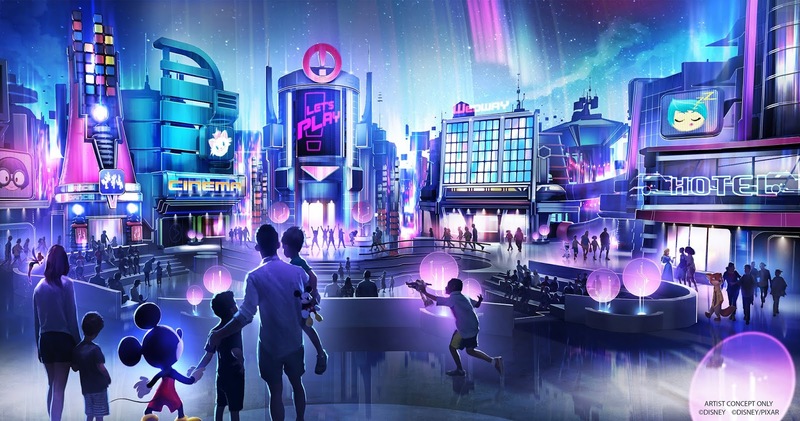 From the relocation of the Leave a Legacy photos to the subtle elements of this concept art that harken back to the early days of the park, it's obvious that they truly are trying to innovate while also appreciating the past of a park that so many of us have learned to love. I've said it before, but overall I've been skeptical of this project. For years, some of my greatest moments of happiness in life have been the days spent wandering through Epcot without a care in the world and no particular agenda. The joy was and is the simplicity of just being there in the moment and to me this concept art portrays that same feeling. There's a feel to it all that reminds me of Apple's new flagship stores. It's clean, it's natural, but also seems so manicured that the trees should be in little glass boxes (of course that's likely just the concept art). Personally, I like the feel of the design and look forward to how it plays out in reality. However, that brings us to my additional thought for the day and it largely centers around the fact that this changeover is going to be an absolute nightmare unless done incredibly carefully. Now, I don't stay that to be negative but it's inevitable that big things are going to have to happen to make this project and the inevitable massive downtime and closure of the Innoventions area to take shape and be completely redesigned over the coming years. I hope I'm wrong, but I tend to believe that massive sections of Epcot are going to be closed off for months at a time. I hope they establish construction in phases and slowly but surely revitalize everything but I do believe a far more likely option is that we'll be facing a maze of construction walls over the course of a year or likely longer. 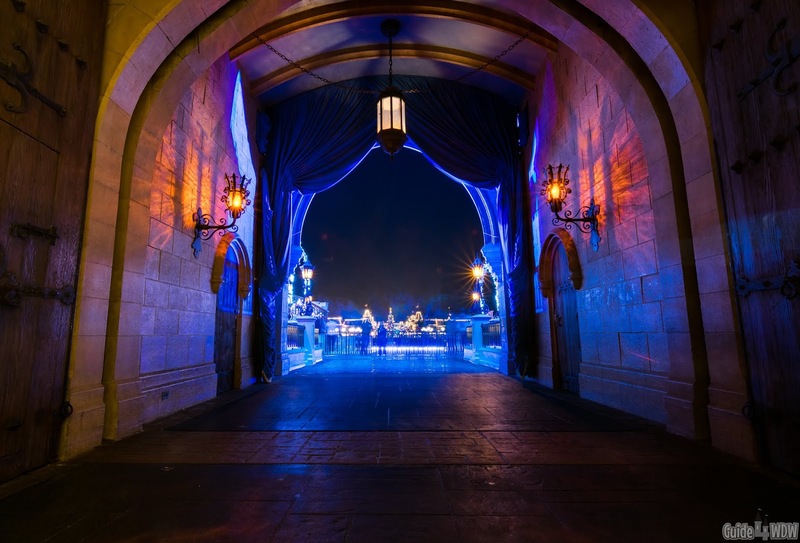 Disney has been less and less cautious about detracting from the guest experience when making sweeping changes, and if Disneyland's castle refurbishment is any indication, this could be messy for a bit. In my best guess, rerouting of guests will occur in phases. What those phases will consist of is something I can't even venture a guess for, but I do believe it's inevitable as this redesign will take some substantial work. Lastly, in regard to the "Play Pavilion" I'm happy to see that Disney is finally doing something with the former Wonders of Life pavilion after years of leaving it abandoned. I expect big things to come from this area and I do have to admit that I'm guessing there's more to this particular aspect of the changes than what has been announced so far. I personally don't expect an attraction or anything of the sort but I do expect Disney to have learned from previous lessons with Innoventions and curtail this project accordingly. Is it a super big part of the announcement, not at all! Am I excited to see how it plays out, absolutely! In recent years I've learned to trust Imagineering more than I used to. Every project I've been hesitant of in the last five years has exceeded my wildest expectations. I was a skeptic of Pandora and look how that turned out! Making a long story short, I look forward to these changes but I do so with a certain hesitancy as I do most sweeping projects arriving in the parks. There are so many variables at play in this that it's anybody's guess at how it may play out. Either way, I had to take a moment to share some thoughts and expectations after reading through the various details unveiled today. In the end, I love Epcot and I'll eagerly anticipate any improvements in store for the park. So far, so good, but we'll see how this all plays out and how the construction process unfolds. As always, I wont sugar coat things here and really intend to be completely authentic in everything I share. Nobody tells me what to write here and honestly my goal is to always keep it that way to keep everything I do honest and open. What I say here is my opinion and my opinion alone but be sure to let me know what you think of the project on your favorite social media platform! 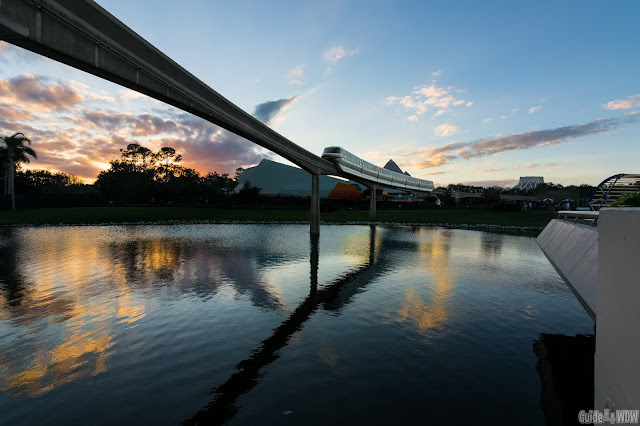 Without a doubt, the future is bright for Epcot and I eagerly look forward to what the park may present in the future. 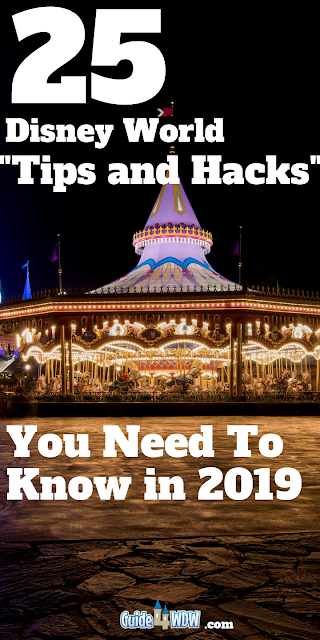 Over the last two years we've been sharing our top tips, tricks, and little known secrets of Walt Disney World, but today we're sharing a few more that you may have overlooked. I've been traveling to the parks since I was 2 years old, at this point we're coming up on 20 years of Disney World experience that has contributed to this list and hundreds of days spent in the parks. 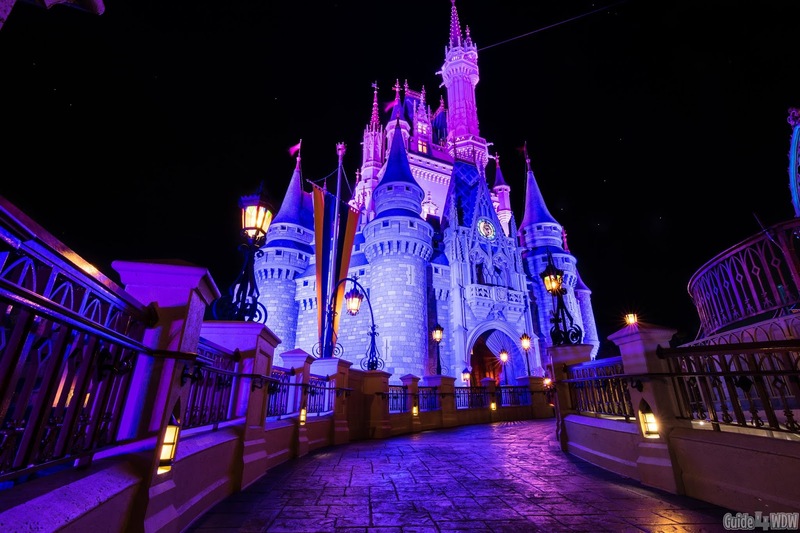 Over time, you pick up a few things that can really improve your WDW vacation experience and making the most of a few of even the simplest tips on this list could save you money or even your vacation experience overall. When you're done reading today's post, our goal is that you find at least one new thing to try or something to apply during or while planning for your Disney vacation. 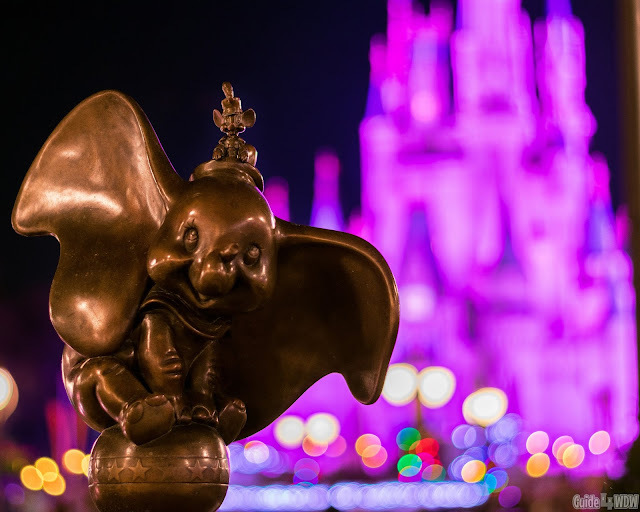 Most of our tips are going to be Disney World specific, but some of these tips may be transferable to other Disney parks around the world. That's about enough for the usual intro, so let's dive right in! 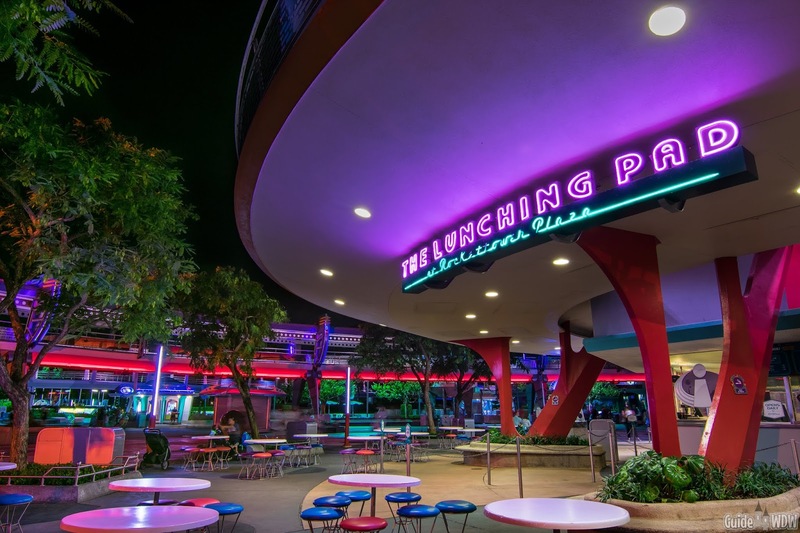 Think Before Buying the Dining Plan - Some guests are "die-hard" Disney dining plan fans and that is perfectly okay, but if you're looking to save money, consider a quick service dining plan instead of the standard plan or skip the dining plan entirely. You will have to factor additional costs into your budget for food rather than having everything paid for when you arrive but for most guests the dining plan is a "nice to have" rather than a "need to have." Foregoing the package may save you a little bit of money depending on what you order at each dining location you choose to eat at during your stay. Avoid Buying Water Bottles - For some reason water bottles tend to be a "hot-button" issue for many guests, but it's an avoidable cost. Water bottles in the park are absurdly expensive (and drinks in general are - see tip number 3). If you want a water bottle, that's wonderful and great in my book but don't buy them in the parks or at the resorts. If you're driving to Orlando, bring a case of water with you. A bottle in the parks can cost upwards of $4 so the savings vastly outweighs the inconvenience in my opinion. If you're flying, you have a few options still. Some hotels sell cases of water, but the best way to save money is to catch an Uber of Lyft to a gas station or nearby grocery store when you arrive or on your way to the resort from the airport. The ride may cost you a few extra dollars to make the stop, but $3 for an entire case of water is more than worth the slight inconvenience to save you tons of money during your stay. You could also even have water delivered by grocery delivery companies Orlando. Drink Water When You Can - If you're at a counter service restaurant or any other meal that doesn't include a drink in the cost of your meal, ask for a cup of ice water instead of a fountain drink and save $3-$4 per guest in your party. The savings adds up quickly and a cup of ice water is completely free in the Disney parks. All you have to do is ask. However, be sure you ask for a cup of water or you may end up paying for a water bottle if they misunderstand your request. Additionally, if you don't want to carry a water bottle around all day, stop by any counter service location in the parks with a fountain drink machine for a free cup of ice water. Leave Your Refillable Mugs in the Room - If you choose to buy a refillable mug or you get one with your dining plan of choice, do not take them to the parks with you. It blows my mind when I see guests with backpacks and 4 or 5 refillable mugs hanging off of them. The mugs are essentially just Disney themed plastic cups in the parks. The refillable mugs are only usable at quick service locations at the resorts, so save yourself the headache and leave them in the room unless you know you'll be dining at another resort throughout your day. Take a Break Mid-Day - If you're short on park days or taking a shorter trip than normal, many guests feel the need to spend sun up to sun down in the parks. Do yourself a huge favor and take a break in the middle of the afternoon and head back to your resort or go relax in the lobby of a nearby Disney resort hotel. 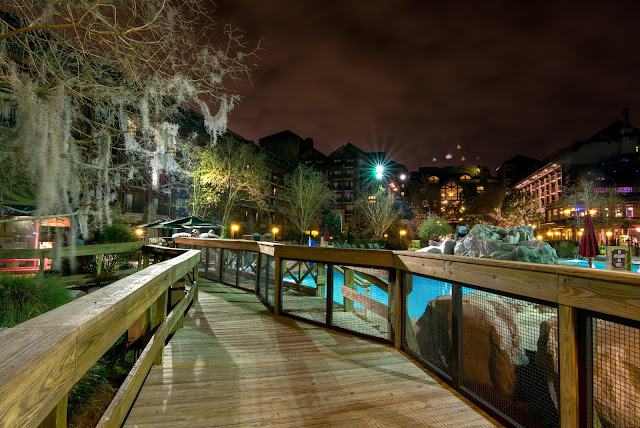 No matter where you are on property, a Disney resort is a short bus ride, monorail journey, or boat trip away. 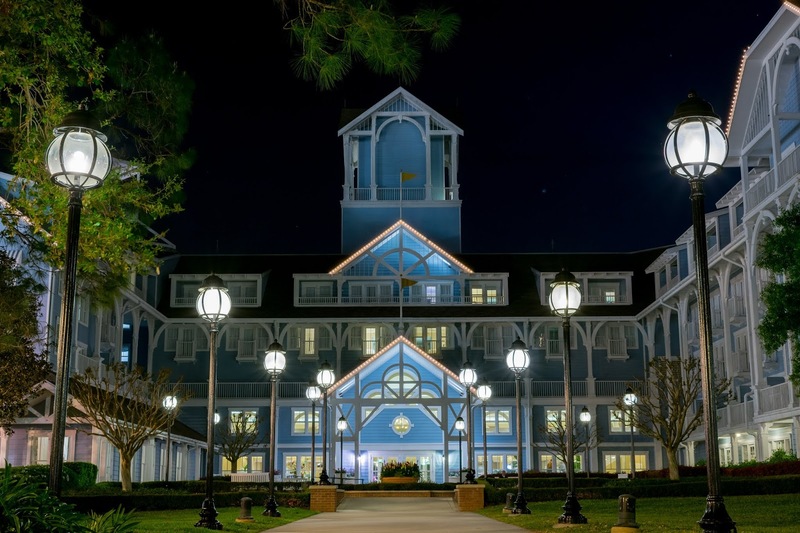 If you are staying on property head back to your resort hotel (fair warning: you can only use your resort pool unless you're a DVC member) and spend some time at the pool to cool off in the warmer months. You may feel like you're missing out on a few attractions but in all reality you may give up two to three attractions in the peak crowd times of the afternoon and the break will refuel you to stay out late! It's well worth the slight tradeoff. 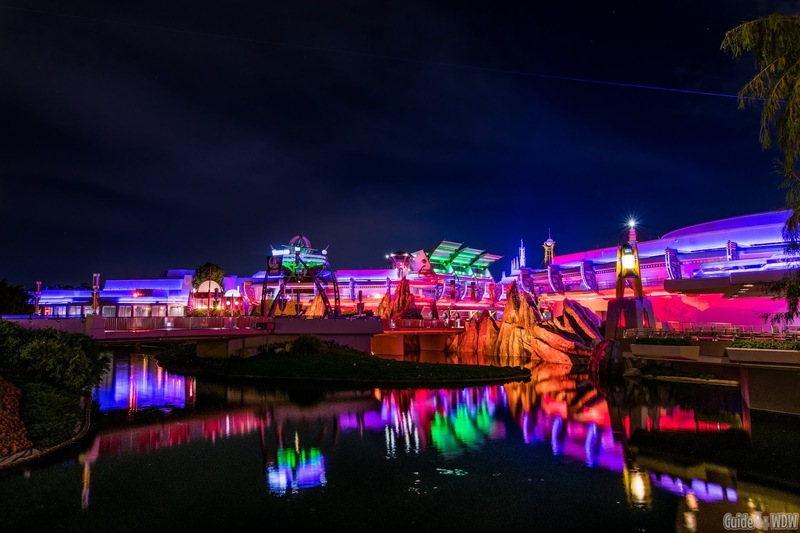 Consider Buying an Annual Pass - For many of you, I know this may sound insane, but if you are going to make two trips to Orlando during the same year, you may be better off buying an annual pass and saving yourself money! 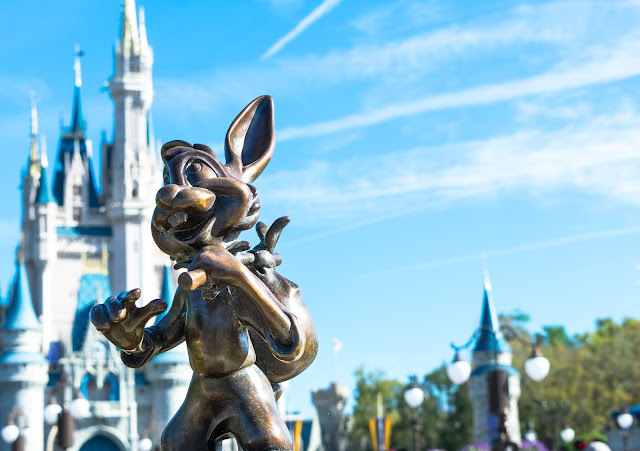 We broke down the thought process in our Disney Annual Pass: When Is It Worth The Money? post. If you're a Florida resident, it's an even better idea because the cost is somewhat less in some scenarios! Get the Free Buttons! - This one sounds a little crazy if you're not a returning guest to the parks, but if you want a little extra recognition during your day, be sure to pick up a button on your way into the park if you're celebrating any kind of special day. If it's your first trip to the park, an anniversary, a birthday, or anything else you choose to celebrate, tell guest services or almost any merchandise location in the parks/resorts and they'll give you a free button to wear. Throughout the day, cast members will pick up on it and you may be surprised by what special things can happen during your stay as a result. Consider Ticket Bridging or Ticket Upgrading - A little while back I did an article including a practice called ticket bridging. It's a super neat practice for saving money on Disney annual passes. It's not the easiest thing to accomplish but can save you a fair amount of money towards the purchase of an annual pass. Check out the article linked for the full details. Additionally, if at any point during your stay you feel like upgrading your ticket to an annual pass, you can apply the money you've already spent on your packaged ticket towards an annual pass as an "upgrade" to your current ticket. It must be done before your stay and park ticket ends but is a great way to save a little money if you think you may be coming back in the near future. Book On Bounce Back Offers - If you know you want to return for another vacation in the not so distant future, call the reservations number before you check out from your resort hotel and ask about a "bounce back" offer. The booking offer can save you hundreds of dollars on a return vacation and is the only way we could make our villa stay in the Boulder Ridge Villas as affordable as possible. 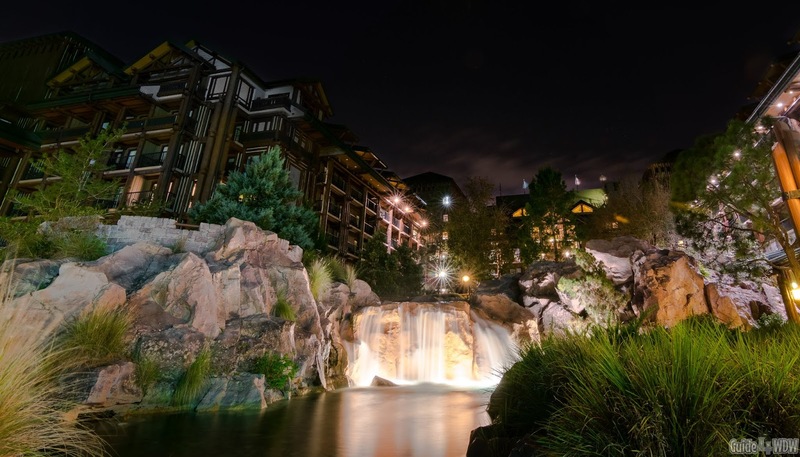 Book Tickets in Packages to Benefit From Cancellation - Every once in a while you may feel the desire to buy your park tickets independently of your resort reservations. Something you should be aware of is that if you buy tickets in a stand alone manner, the ticket is non-refundable. However, if you book your tickets in a package, the tickets are refundable by the same guidelines outlined for the package. Packages are refundable if cancelled at least 30 or more days prior to guest arrival. For other cancelation details see: Disney's Site. Learn How to Pick Up a Galactic Hero Sticker - Similar to the buttons mentioned above, if you max out your score on Buzz Lightyear's Space Ranger Spin, you can pick up a special sticker to commemorate the occasion for the day! 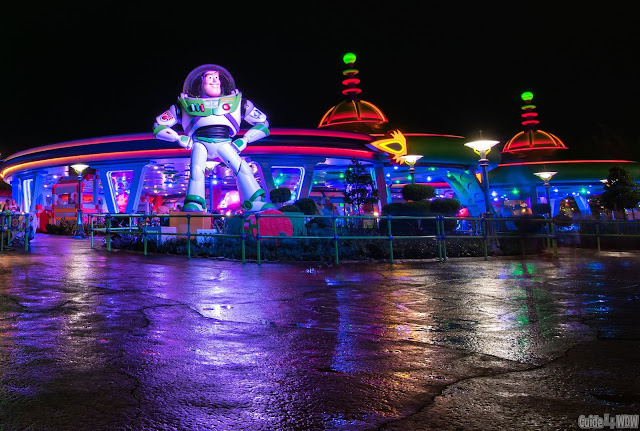 Learn how to max out your score in our How To Become A Galactic Hero at Buzz Lightyear's Space Ranger Spin! article! Visit the Boardwalk For Free Entertainment - I am notorious for recommending guests visit the Boardwalk resort area. If you get a little extra time during your stay, head over to the Boardwalk for some stellar views, a budget friendly pizza window, free live entertainment at night, and an incredible few hours of the best that Disney has to offer! The view alone managed to make it's way onto our list of top places to catch a sunset at Disney! Debate the Park Hopper Option - If you're a first time guest to the parks consider passing on the park hopper. If you're a consistent reader here on the site (Thank you!) you likely know that I am a huge proponent of buying the park hopper add on for longer stays. I honestly believe it affords you far more flexibility than a one park per day ticket. At the same time, if you're new to the parks you're likely to spend an entire day in each park if you want to try to see and do as much as possible. The park hopper does afford you the opportunity to go back to another park to revisit a favorite attraction or see a favorite show again, but it certainly has it's pros and cons, with the largest downside being price. Always Go to the Left - This is a tip that is becoming more and more main stream and known, which is sadly making it a little less reliable. At the same time, if you're ever facing a split in a line or long park opening lines at the gates, it's a good bet that the lines on your left will move a bit faster and tend to be a bit shorter. Most people are right handed so the natural inclination is to move to the right in most situations. Fight the instinct and head left, it may work in your favor! Consider Non-Disney Transportation - I know it sounds counter productive, but if you have to be somewhere fast and happen to be in a time crunch to make a reservation or other scheduled event, consider hailing an Uber or Lyft. Sure, it's going to cost you $8 or so, but sometimes it's well worth it in a time crunch! For other situations, make full use of Disney's free transportation. It's excellent most to the time! Consider Getting Planning Help - If you're new to Disney travel, consider buying a travel planning book. One of the better ones is Birnbaum's 2019 Guide Book. I wrote my own guidebook a few years ago called The Adventurer's Guide to Walt Disney World, but things change rather quickly at Walt Disney World so the Birnbaum tends to be a more up to date option. Cut Through the Emporium - The Emporium on Main Street is the ideal way to get down Main Street on a busy day. The entire store is connected from the very front corner to the exit of Casey's at the very end of the street. At peak times, this single tip will save you a surprising amount of time entering and leaving the park, but also getting around in general. Use the stores throughout the parks to your benefit. Most of them have multiple entrances and it's a nice blast of AC while moving from one location to the next. Go Early and Stay Late - The earlier you get to the parks the better off you tend to be. The crowds tend to build at around 10:30-11:30am on an average day, so make the most of that first hour and you may be shocked at how much you can get done in a very short amount of time. If you need a few tips to make the most of that early time in the parks, use our How to Ride 6 or More Attractions in 90 Minutes or Less: With Only 1 Fastpass+! article to make the most of your time early on in the day. Staying late can yield similar results after the fireworks end for the night and guests slowly start to filter out of the park. 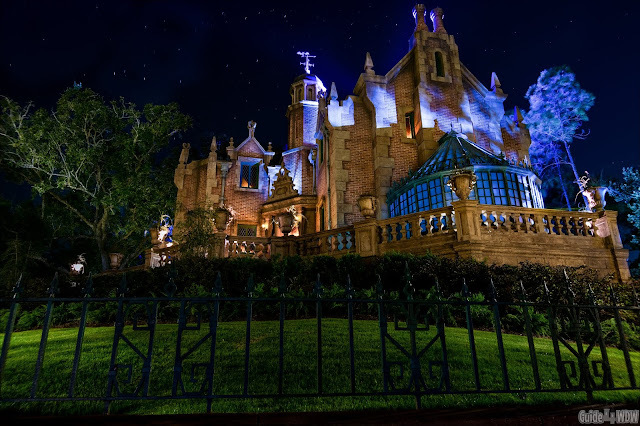 Attractions tend to have shorter wait times near closing time and it's well worth staying to the very end to catch the Kiss Goodnight! In my opinion, it's the very best way to end a day in the parks. Take Ponchos With You - If you don't want to get wet, consider taking a small and lightweight packable jacket with you in your park bag. Ponchos are incredibly overpriced in the parks and if you're willing to stop by a dollar tree before your trip or make a quick order on Amazon, ponchos can be had for as little as $8 for a 6 pack to cover the whole family! It sounds crazy but you'll appreciate this tip when the Florida rains come rolling in! Try A Water Park - If you've not been to a Disney water park, give it a shot. The tickets are a little cheaper than a day in the theme parks and the experience is wonderful for guests of all ages. Both Blizzard Beach and Typhoon Lagoon have a little something for everyone and Disney really sets the bar for clean and family friendly water parks! Send a Post Card Home - Sending a postcard sounds like a tip from the 80's and 90's, but it really is an experience to try in the parks. Pick up a cheap postcard at a gift shop, write a friend a note or even self address the card, and you can send them via a mail box on Main Street or basically any resort hotel on property. The mailboxes are location specific and themed, but work just like a real mailbox. The mail may take a few days to reach it's end destination, but the whole process can be a ton of fun for kids and adults alike. It may be old fashion but it's a hidden gem and a piece of the magic that largely gets overlooked. "Hidden Disney" - The Functional Mail Service Within The Disney Parks! 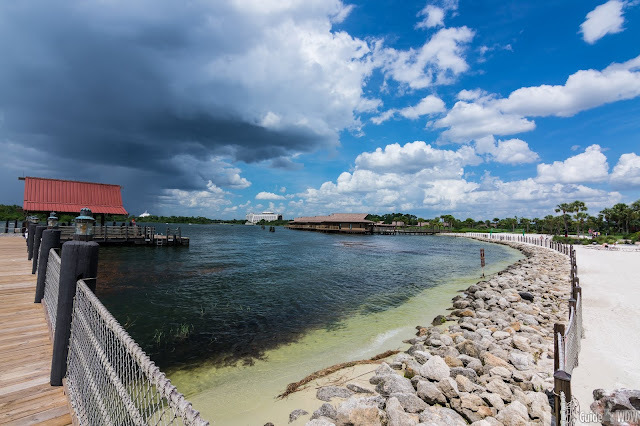 Come With a Plan But Don't Overplan - For today's Disney vacations, it's inevitable that you will have to plan a few things to at least cover the very minimum. While I personally suggest going with a plan for at least what parks you'll visit on what days and what table service meals you'd like to reserve ahead of time, avoid planning every little detail. Too many guests go into a Disney trip with either no plan at all or an over-planned attraction by attraction and minute by minute plan. Somewhere in the middle tends to be the optimal strategy. Pack For a Variety of Weather Conditions - Florida is unpredictable. It can be 95 degrees in December or 95 degrees in August. It can also be 40-50 degrees in December if you catch an odd week. Be prepared for both and pack for both if you're going at questionable weather times. Obviously, you're not likely to need a jacket to keep warm in August (no seriously.... leave it at home! ), but you never know what to expect in the "winter" (Or at least what Florida calls winter...). In the summer, trade that jacket for warmth in for a jacket for the rain and you should be set! Try Something New - Strive to try something new each and every trip to Florida. Book a new tour or try a new dining location. Step out of your comfort zone or try something you've always wanted to try. You can never see and do all that Walt Disney World has to offer so always strive to do something a little different. A great place to start is the Behind the Seeds tour at Epcot or a stop at Teppan Edo for some hibachi! Eat at Strange Times - You're on vacation, eat at a time that isn't all that typical. Not only can you secure hard to get reservations by doing this but it mixes up your daily routine and allows you the opportunity to avoid the peak afternoon crowds with a late lunch or early dinner. A late breakfast at a Table service location is a great option as well and allows you to make the most of the lighter crowds of the morning hours and then you can sit back and relax for a nice meal as the crowds start to build.